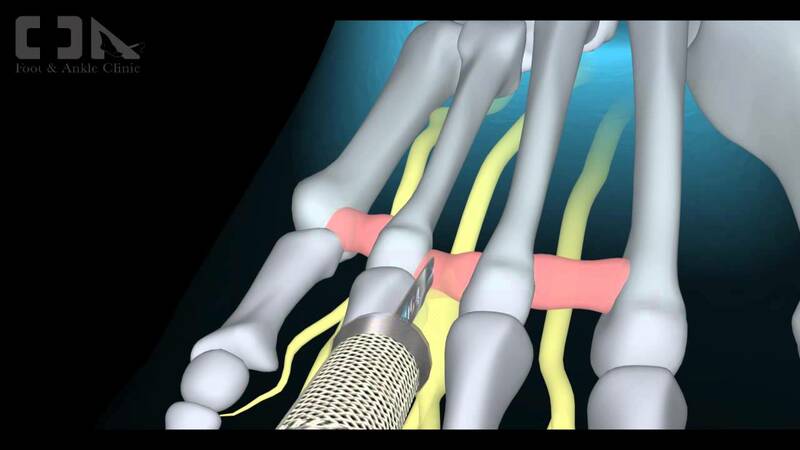 Orthotics and corticosteroid injections are widely used conservative treatments for Morton?s neuroma. In addition to traditional orthotic arch supports, a small foam or fabric pad may be positioned under the space between the two affected metatarsals, immediately behind the bone ends. This pad helps to splay the metatarsal bones and create more space for the nerve so as to relieve pressure and irritation. It may however also elicit mild uncomfortable sensations of its own, such as the feeling of having an awkward object under one's foot. Corticosteroid injections can relieve inflammation in some patients and help to end the symptoms. For some patients, however, the inflammation and pain recur after some weeks or months, and corticosteroids can only be used a limited number of times because they cause progressive degeneration of ligamentous and tendinous tissues.